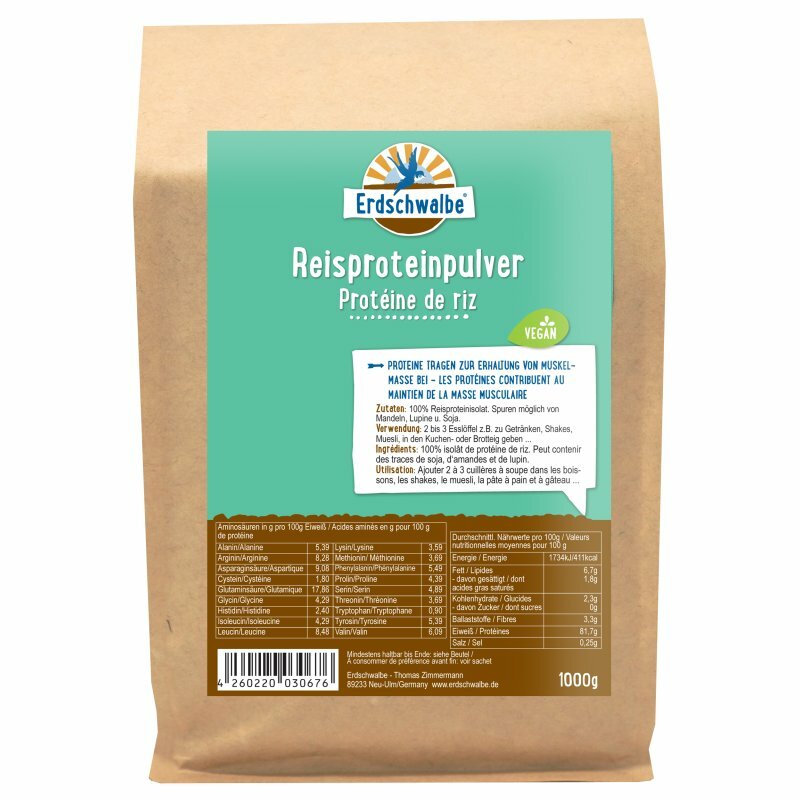 Erdschwalbe Rice protein powder 1kg bag. 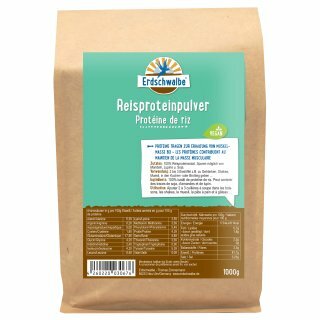 100% rice protein isolate - Protein contributes to a growth in muscle mass. Ingredients: 100% rice protein isolate. Package contents – net weight: 1kg paper-bag (reclosable).